Professor Apryll Stalcup received a BS in Chemistry from California State University-Sacramento and a PhD in Chemistry from Georgetown University, Washington, DC in 1988. During her graduate studies, she was a Co-op Fellow at the National Institute of Standards and Technology (NIST) in Gaithersburg, Maryland. After a Postdoctoral Fellowship at the University of Missouri-Rolla, she joined the faculty at the University of Hawaii-Manoa in 1990. 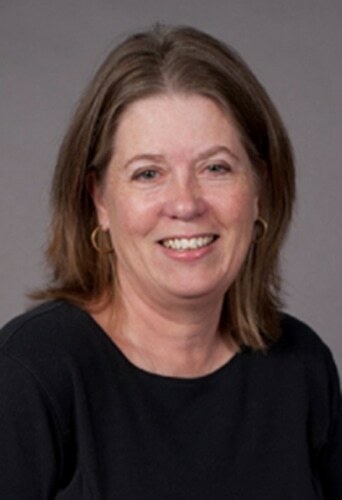 In 1996, she moved to the University of Cincinnati and was promoted to Full Professor in 2001. She served as a member of the Greater Cincinnati Water Works (GCWW) Water Quality Advisory Board for 16 years. The GCWW, one of the leading municipally owned and operated utilities in the US, provides more than 48 billion gallons of water a year to its customer base. She moved to Dublin City University in 2012 to become Director of the Irish Separation Science Cluster and Professor of Chemical Sciences. Apryll’s research interests include chromatography and electrophoresis, separation mechanisms, chiral separations, exploring new separation methods, surface confined ionic liquids as stationary phases, characterization of complex carbohydrates and nuclear forensics.